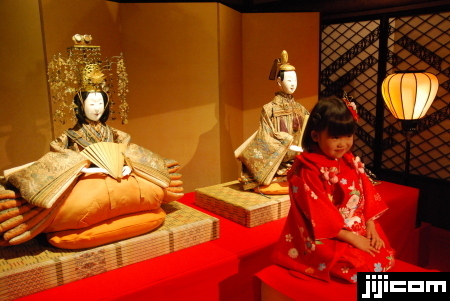 Tiny to giant antique 'hina' dolls went on display along with some 500 other dolls at Meguro Gajoen's Hyakudan Kaidan exhibition hall in Tokyo's Meguro Ward to celebrate the March 3 'Hinamatsuri' festival for girls. This year's exhibition, the sixth of its kind, focused on dolls from the three western Japan prefectures facing the Seto Inland Sea: Hyogo, Okayama and Hiroshima. 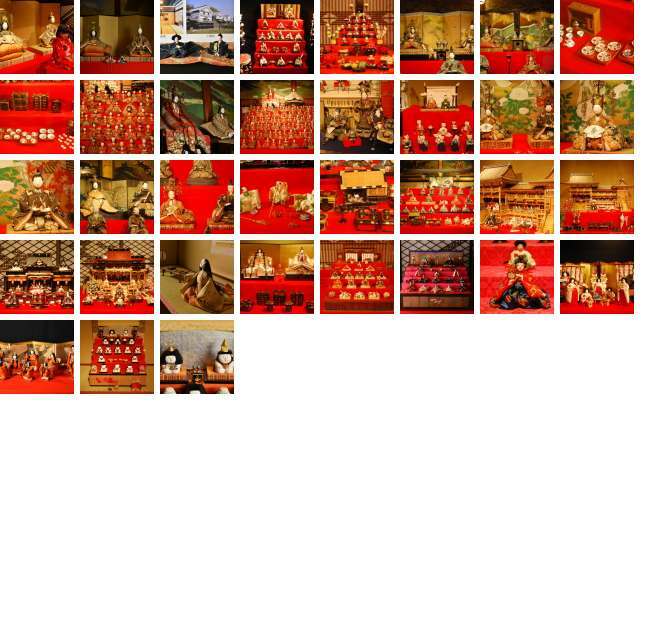 Most of hina doll sets comprise the emperors, empresses, attendants and musicians in Heian period attire.